Breaking Ground, Breaking Silence documents findings from the first National Asian Pacific American Workers’ Rights Hearing, a historic gathering of over 200 Asian American and Pacific Islander trade unionists and community allies . The hearing was convened in the Samuel Gompers room of the AFL-CIO headquarters, Washington D.C., on Friday, November 13, 2009. Asian Americans and Pacific Islander (AAPI) workers from around the country spoke about challenges they faced in exercising their right to organize – including employer intimidation, immigrant worker exploitation, health and safety violations, wage theft and union suppression – while also highlighting the strategies that individual workers and unions have developed in the fight for worker solidarity and economic justice. 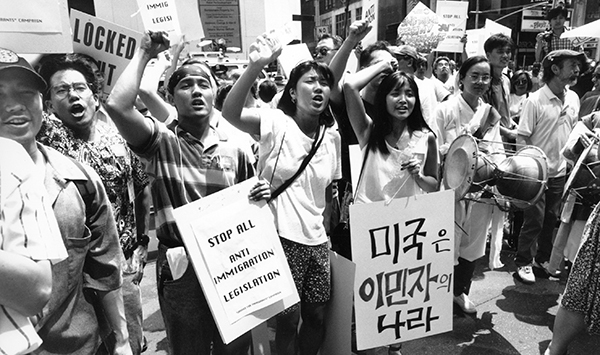 The purpose of this report is to synthesize the personal triumphs and struggles of AAPI workers in their quest to organize labor unions and advocate for the rights of immigrant workers. These untold stories provide a unique snapshot into the lives of hundreds of thousands of AAPI workers across the country, covering multiple sectors and industries. APALA encourages workers, labor unions, community allies, student organizations and academic institutions to use this report as an educational tool to engage decision makers on the unique needs, experiences and concerns of AAPI workers.